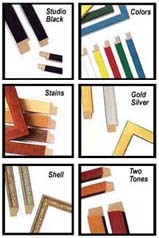 Postcard Frames are available in wood finishes, colors, gold, silver and two-tone styles. 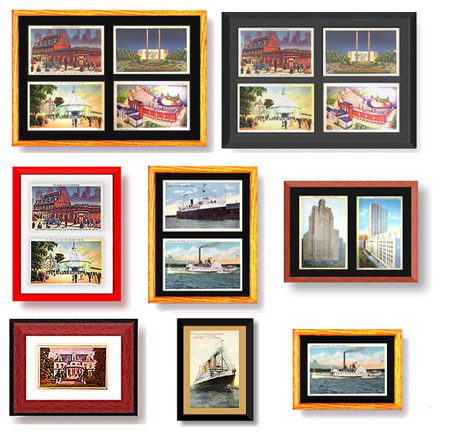 Our frames feature our unique "Collectors Mat" for FULL DISPLAY of your cards. we also offer a Clear View Back option for all styles! gold, silver, and beautiful two-tone styles.